This electric fireplace is an interchangeable 2-in-1 model as it comes with both logs and pebbles to change your lighting aesthetic. With its lifelike flames and stunning black frame, "Provence" is the perfect addition to the functionality and style of your home. This 50" wide electric fireplace can be Recessed or mounted on the wall of your bedroom, family room, or anywhere in your home to offer the aesthetic appeal of a finely crafted fireplace without the troubles or hazards of an actual fire. While the "Provence" can be used without the heating feature for simple mood or stylistic purposes, it also offers 2 levels of heating (high and low) to heat any room. 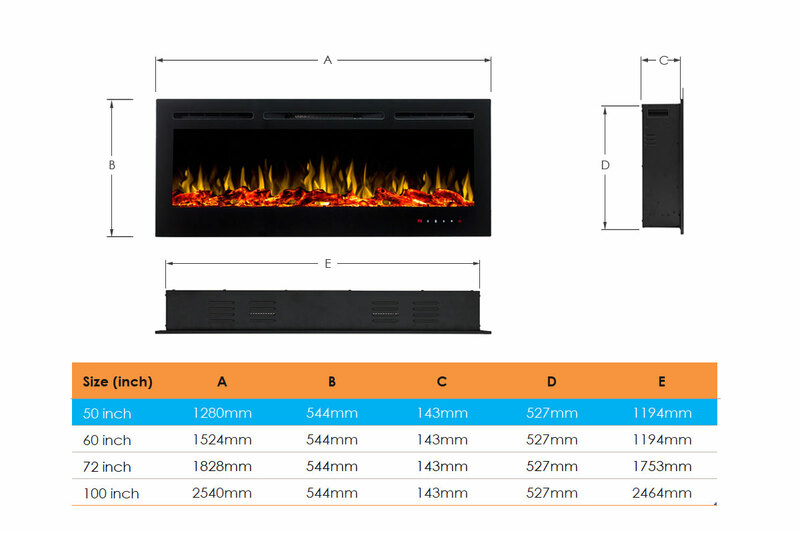 Additionally, Provence Electric Fireplace requires a simple installation with easy step by step instructions. The "Provence" flames sit behind one tempered piece of glass and offer the illusion of a real fireplace without the hassle. The "Provence" heating options make this electric fireplace a versatile addition to your home. Thanks to the "Provence" ability to display flames while emitting heat or to display flames without the heating feature, you can also enjoy the calming flames all year round. In addition to its versatile heating settings, the "Provence" also offers 4 flame brightness settings giving you the ability to adjust the flames to your desired glow. The brightness options, which can be manipulated by the unit remote, range from a dull ember glow to a full blaze. The "Provence" flames are so realistic, your electric fireplace will be mistaken for a real gas fire place. This set includes faux fire logs and pebbles to create an authentic feel. It comes with logs inside by default, and a pack of stones in the carton. You can add pebbles in or replace the logs with pebbles at your own preference. 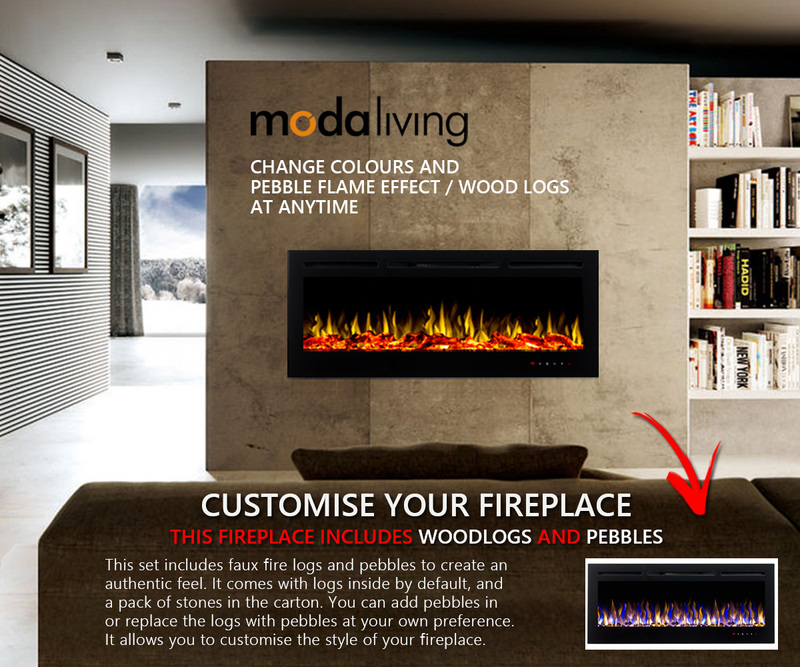 It allows you to customise the style of your fireplace. Offering both a high and low heat setting, the Provence is designed to heat a room up to 40 square meter. You will find that the heat and style of your electric fireplace combined with your home primary heating will offer just the right amount of warmth and ambiance for a cozy atmosphere. 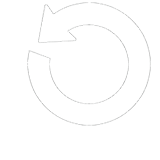 You can control your electric fireplace heat setting by using the unit remote control or by simple using the control options on the side of the fireplace. The "Provence" also gives you the option of using the built in timer to control the heat settings so that you have the ability to time the fireplace heat duration for up to 7.5 hours. Brings atmosphere, elegance to any room.